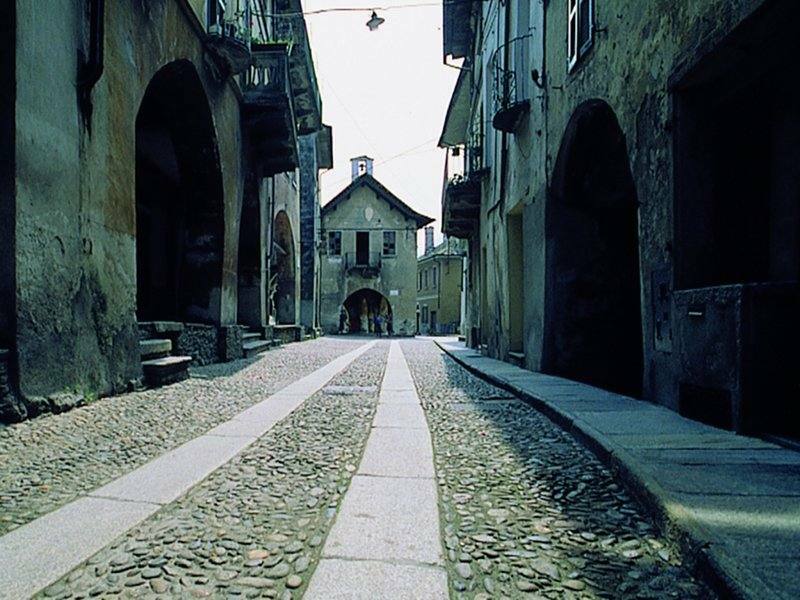 Palazzo Pretorio is right in the centre of the old village of Vogogna. It was built by Giovanni Maria Visconti in 1348 (the same Visconti who had the castle built). 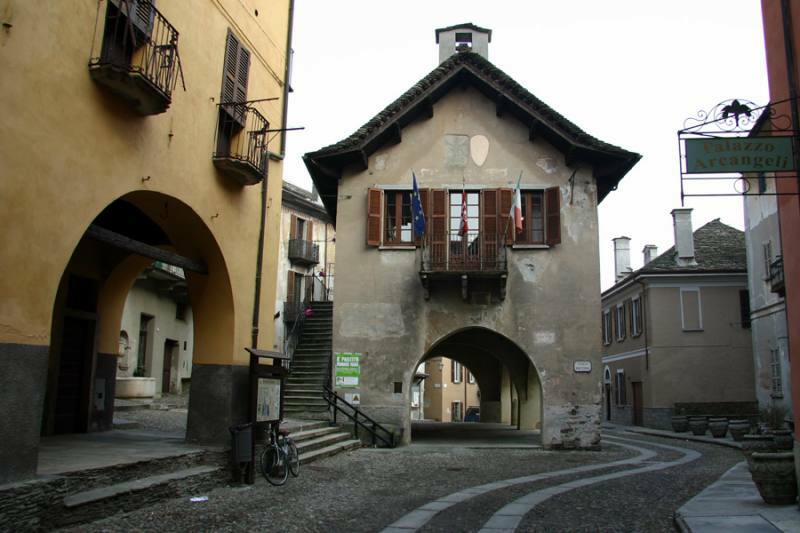 This is a marvellous example of a Lombard broletto (place where justice is administered), which is comparable with nearby building Palazzo della Comunità in Orta San Giulio. This little building was built in Liberty style on all 4 sides, and is surrounded by narrow alleys and flights of steps. The ground floor is entirely porticoed and supported by Gothic pointed arches resting on squat columns. It was originally embellished with coats of arms and incisions, which were partially destroyed following the revolutionary movements in 1798. 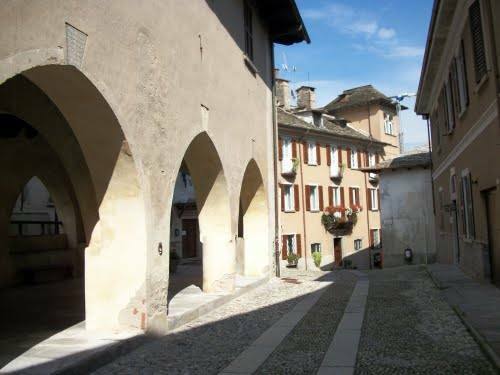 It was the seat of the Lower Ossola government and headquarters for magistrates, podestà, vicars and mayors until 1819. Since then, it has been the Town Hall. It was closed in 1979 for renovations and was opened to the public again 27 February 1998, resuming its civic-administrative function. 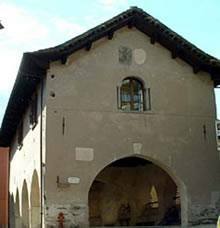 Palazzo Pretorio is currently used to host the meetings of the town council, but that's not all. It also has some exhibit areas and hosts conventions and seminars. It’s the site of the original Celtic mask, one of the most important archaeological finds in the Ossola area. The mask was used in the 1700’s as an ornament on a fountain located in the courtyard of the Oratory of San Pietro in Dresio. Within this context, the one seen today is a replica. In the piazza, the broletto is surrounded by buildings and exclusive dwellings, including Villa Biraghi, today official seat of the Val Grande National Park. Beside it is the little Church of S. Marta, also worth visiting.